Earlier this month, an unverified report by Chinese social network Weibo claimed that Apple will ship its 2018 iPhones with new USB-C power adapters and USB-C to Lightning cables for fast charging. Today, a new report by ChargerLab is making the same claim, noting that this year’s flagship iPhones will include 18-watt USB-C power adapters out of the box (via MacRumors). 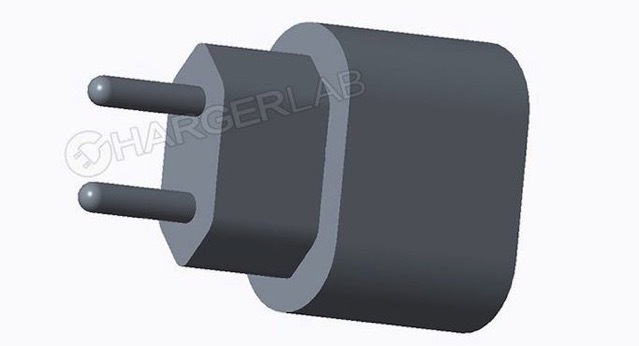 The source, which has based its report on information from “inside the production line”, has also shared a render of the European version of Apple’s rumored 18W USB-C charger (shown above). The earlier report by Weibo included drawings of what the North American charger may look like. Along side the power adapter, Apple will also include a Lightning to USB-C cable with the next generation iPhones, enabling much faster charging speeds than the existing 5W power adapters that ship with current models. Fast charging is currently supported by the iPhone 8, iPhone 8 Plus and iPhone X, and generally charges an iPhone at least twice as fast as the regular method.